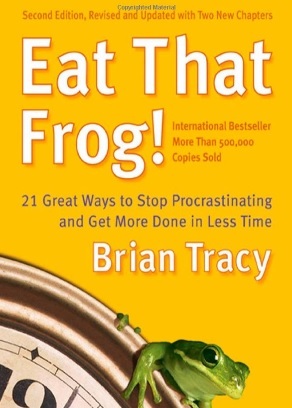 That quote from Twain is what is behind the bestselling book by Brian Tracy entitled Eat That Frog. I just read the book. And although some of his ideas can certainly be found in other classics on the subject of time management and productivity, I found it fun, motivating and worth sharing. The fundamental premise of Tracy’s book is that you should finish the biggest, ugliest, most unappealing jobs on your “to do” list first – EAT THAT FROG – and after that everything else will be easier. But his book is much more than a simple primer on prioritizing. He has some great tips for keeping focused, working smarter and how to spend more time doing what your truly love and value. I recommend getting it. When I read a book like this I try to think about ways to incorporate some of his principles into my work as a pharmacist. 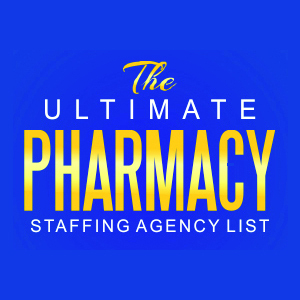 As a manager in a unique outpatient pharmacy I’m tasked with growing the business and developing programs that will yield the best value for the patient and the institution alike. I’m a “project” guy. But I definitely fall into the trap of sometimes spending too much time on tasks with a small ROI. Eat that (pharmacy) frog means I should focus on the highest value activities first and foremost – and not get distracted with the tadpoles of everyday life. I can’t share all the intimate details of my plans – but I can share what this book has reminded me of when it comes to being more productive and efficient with my work and projects. FROG #1: Hardwire My Most Effective Ideas. I tend to try a lot of different approaches when looking to grow our business and services. Each one needs to be measured, so that I can assess the value and success. Once I find something that is working, I need to focus on getting that program running smoothly and effectively without my involvement. In other words: set it and forget it. 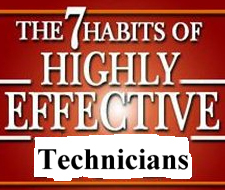 This involves delegating and planning and getting feedback and trying again. But successful plans and ideas will never blossom into their full potential without a consistent plan and program to carry them out. Hardwiring such plans is a BIG FROG that I have to eat. FROG #2: Workflow Integrity. I am a nit pick about workflow. Those who have worked in a retail pharmacy know that there are so many variables that inject themselves into the day to day routine that it is easy to get off track and distracted. When the workflow begins to dissolve into confusion, mistakes will happen and someone could get hurt. Working with my team for consistent workflow patterns is another FROG that I have to chew into. FROG #3: Writing and Communication. I know that one of my strengths (thought it has taken years to develop) is communication. But the hard work of communicating effectively, timely, and regularly with all my contacts and clients sometimes gets neglected due to what my pastor calls the “tyranny of the urgent.” But sometimes urgent things aren’t really as urgent as they first appear. If I am at my highest point of effectiveness when I am writing or publicly speaking, then I need to EAT THAT (pharmacy) FROG and focus on those opportunities every day. And so those are a few of my takeaway lessons from Brian’s valuable book, Eat That Frog (click the link to buy it on Amazon). I wanted to share those thoughts with my readers – and in doing so – I just ate one frog on my menu today. How about YOU? Got any frogs on your list of to-do’s? Have you been putting off the most important work because it is too difficult or unpleasant to get done? Eat that frog! The first bite is the hardest. But when you’re done, you’ll be glad you did it. One Response to Eat That (Pharmacy) FROG! Congratulations Jason, on having good reading habits. Brian Tracy is indeed a wonderful resource. However, I have found that doing the easiest task first then the next easiest etc, and working toward the most important about the time that most everyone’s energy level peaks is the best and most productive approach to be used. » Motivation, Leadership & Success » Eat That (Pharmacy) FROG!